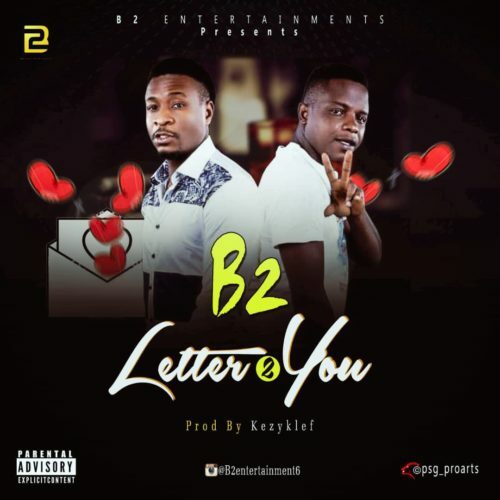 Download B2 – “Letter To You” (Prod. By Kezyklef) mp3 now. Another brand new LOVE SONG, “LETTER TO YOU” from B2 is out on all platforms. It’s an exceptional song with fantastic melody and it really tells a love story. LETTER TO YOU, was produced by KEZYKLEF, mixed and mastered by GrandMix Productions. Download, Listen and enjoy yourself. NB: Please be aware that B2 – “Letter To You” is hosted outside this particular website as we host NO file. In case of any copyearight claim and request for take down, kindly use our 'contact us' page to put a notice across.